Call 877-242-3136 and purchase this item for $240.00 with our "Advanced Replacement" option. The i2851 is a perfect fit for your VAV applications where external damper actuators are used. 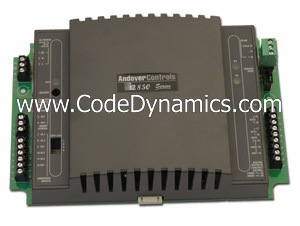 The i2851 controllers feature a built-in expansion port for additional I/O. The i2851 also features Flash memory, increased user memory, and a fast (32-bit) processor for faster scan times, with plenty of additional memory available for data logging of your critical data. The i2851 is perfect for applications not requiring airfl ow measurement, such as heat pumps and fan coils.